HOME National News Mombera University is for Who? Despite the fact that Malawi government is working fingers to the bone to fight regionalism in the country, some quarters from North are still nursing the spirit. 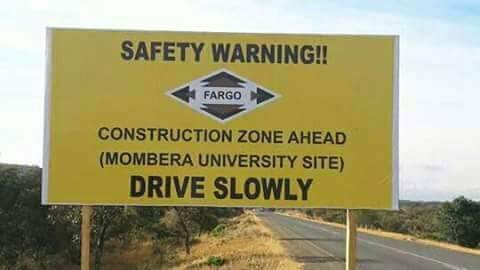 The point in the case is Mombera University which located to be constructed in North region, Mzimba, it will definitely belong to all Malawians, not to only Northerners as some claim. Some quarters are in disputable believing that the delay of its construction is hide and seek game played by ruling Government , Democratic Progressive Party( DPP) to fool northerners. Newspaper columnist James Chavula, who is also one of the editors at Nation Publications Limited, has just accused the governing Democratic Progressive Party (DPP) for deceiving northerners that the institution is under construction. Chavula confirmed that all is total lie, suggesting that is just an effort aiming at convincing the northerners that all is set for the project. Which Northerners? Those who are there or here? However, what Chavula did not recognise is that this University is for all Malawians, DPP is lying to all nation. “Thay are not cheating northerners thats the problem with tsankho mbombera universty will benefits all malawians therefore they are cheating themselves and the whole malawians kodi kamtima ka regionalism aka kazatha liti? u are the madia insted of promoting unity mukumabweresa tima word tina tasankho pliz learn to write things that can bring harmoney. Editors its your job to eliminate those kinds of words,” Comment reads after Chavula’s article published on Nyasatimes. “Will this university be for North Malawi? Who is cheating who?” another comment added. Each and every development in the country is for all Malawians, its location matters less. MALAWI ILI MZIGAWO, MUZIGAWOMO MULI ANTHU AMENE AMANYADIRA CHITUKUKO CHIKABWERA. NGANKHALE KUTI CHITUKUKO NDI CHA MALAWI YONSE KOMA CHIKAKABWERA KU CHIGAWO CHA KWANU MUNTHU UMASANGALALA.